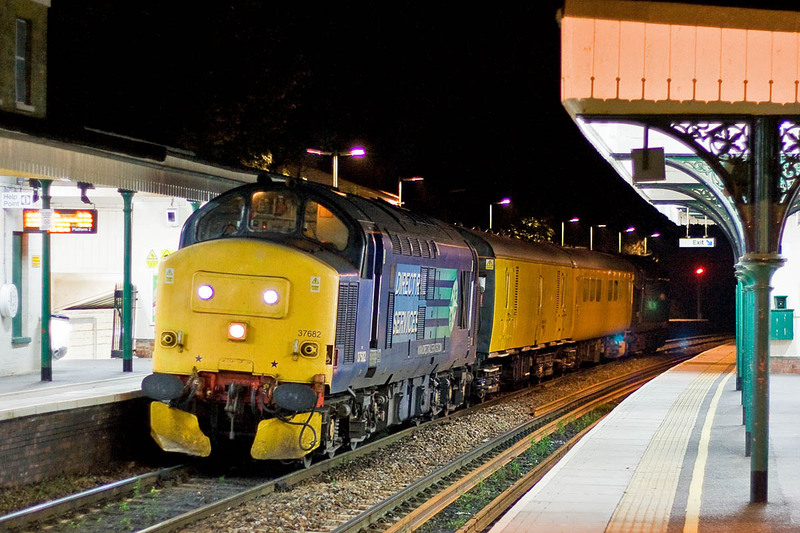 Two Class 37s which have recently been sent to Booth's in Rotherham for disposal. 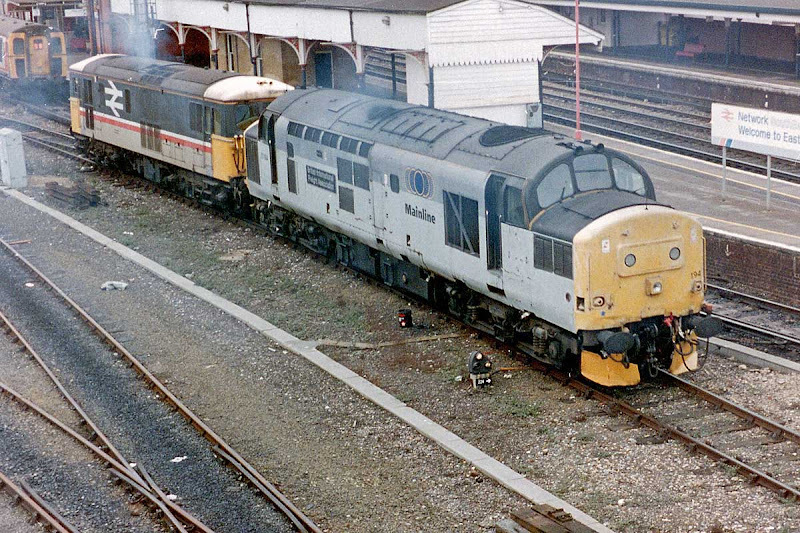 37194 British International Freight Association at Eastleigh, 2nd February 1997. 37194 at Shawford, 9th November 2014. I believe that this may have been its last visit to the South. 37194 was new from Robert Stephenson & Hawthorn as D6894 on 16th March 1964, and was allocated to 87E Landore. Air brakes were fitted in September 1969, and renumbering took place in 1973. Stored unserviceable in January 1999 and moved to Barrow Hill in August 2000. In October 2002 it joined the Harry Needle leasing fleet, and was sold to DRS in February 2005. Stored in January 2015, then progressively stripped at RVEL Derby. The remains were delivered to Booth's on 20th December 2016. 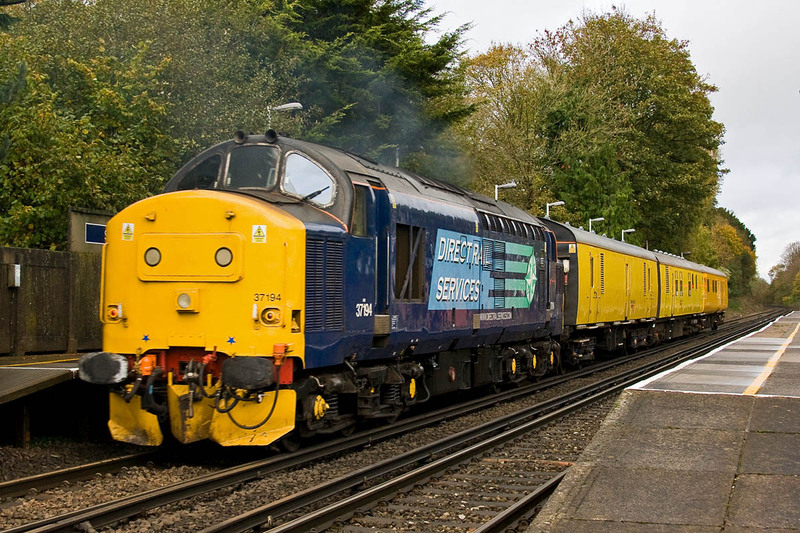 37682 at Romsey, 16th October 2012. Last seen in the Eastleigh area in November 2012. 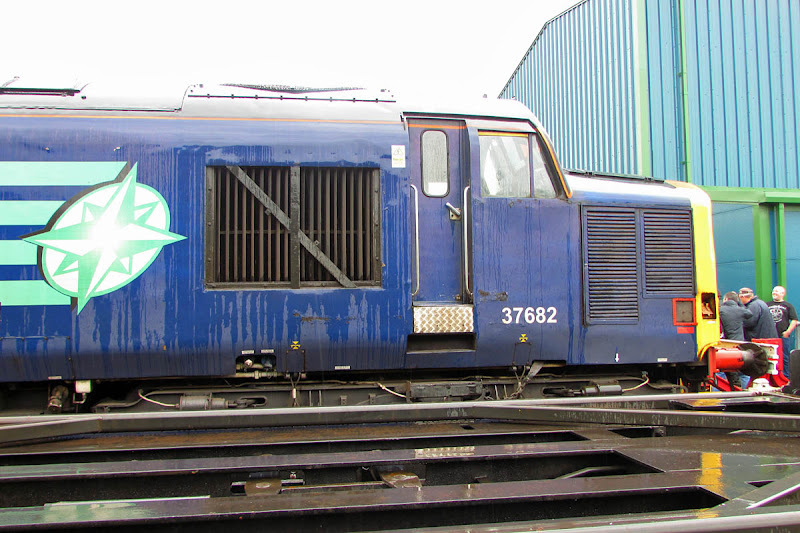 37682 at Crewe, 19th July 2014. 37682 was completed at EE Vulcan Foundry in April 1964 as D6936 and allocated to Landore. Later renumbered to 37236. Rebuilt and renumbered to 37682 in March 1987 at Crewe. Last worked for EWS in 2004, then sold to HNRC in November 2007. Returned to traffic with DRS from January 2009. Stored by DRS at the end of October 2014, stripped at RVEL in 2015, then delivered to Booth's on 27th October 2016, where it was cut up by 4th November..